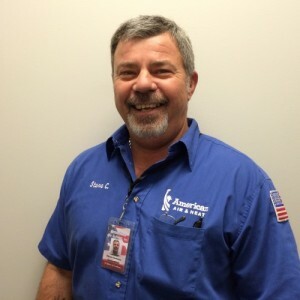 Todd and his team at American Air & Heat were professional and customer service oriented from the beginning. We were not entirely happy with our original A/C company, so we were seeking a competitive bid on some new units. 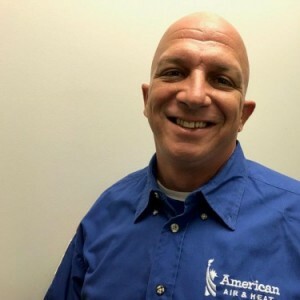 American Air was determined to win over our business and did so with competitive pricing, a ‘customer service’ attitude and the notion that they would make and keep us happy no matter what. It’s still early, but so far we haven’t been disappointed! Everyone was extremely professional, courteous, and kind. Joseph G was part of the team which installed my new home A/C system this past Monday. Joseph was in charge of all duct cleaning, inspection, and repair, and the installation of the blown-in insulation. He performed exceptionally. The amount of work he was able to perform up in my tiny attic amazed me. He constantly checked in with me with photos of where my duct work had separated and needed repair, and would then show me photos of the repair work done. He and Ruben then blew in the insulation and covered the entire attic. The duct repair, as well as (obviously) the new equipment installed, has resulted in powerful airflow the likes of which I've never experienced in this old house of mine. I can't say enough how much I appreciate Joseph's work. He was the first to greet me when the team arrived at my home, and he was a gentleman throughout his time with me. What a pro. Joseph is a credit to American Air and Heat, and I hope that they are aware of this. David was very professional and gave us an excellent experience. Arismir was very good at his job and we would ask to have him work at our house again. We had several questions and he was very quick to give us an answer. Rob was wonderful. Highly professional, thorough and knowledgeable. He treated my AC unit as if it was his own. I am extremely pleased with my new Air Conditioning Unit. Todd was very thorough in researching and explaining the options we had with installing a new unit. Todd made sure we were taken care of and our new unit was installed almost immediately. The crew was efficient, courteous and neat. We have used American Air and Heat for servicing our units and will continue to do so for years to come! I would recommend this company to everyone! We are customers for life! Mr Robert Moore is very professional and personable. Steve was very nice when he came out to my house at 8:00pm and was being destroyed by mosquitoes. He took the time to talk to me, explain the situation and took care of it. Louie M. Did a great job fixing our AC today. He was informative and completed the job quickly. American has been servicing our unit for 10 years. We will be getting our new unit from them! No surprises, as usual Tim goes about his work in avery efficient and competent way. It's a real pleasure to have him do the service calls here at my home. Always neat, respectful, and friendly! He definitely gets my big HURRAH!! 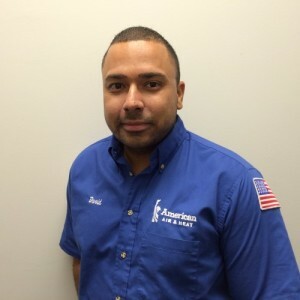 Daniel Z******* serviced my A/C system yesterday and was exceptional. He told me and showed me everything he was doing and why, and explained those things that I needed to do to ensure that my system functioned at it's highest capability between services. He was exceptional! Louis M. is an excellent tech. He is friendly and explains work that he has done.I always request him for service. Well done!!! Fabian was very knowledgeable and professional. He was also very thorough and careful. He gave us the pros and cons and we decided to go with some extra services. He made us feel that there was no pressure and it was our own decision to do these things. He was well informed as to the investment we were making and what we could transfer to a future system. We have been customers of American Air And Heat for over 20 years ourselves. They have always been a company we can trust. Fabian represents them well. the quality of service at a reasonable price. Jason W. came out on short notice when out AC stopped working. He was nothing but kind and helpful. 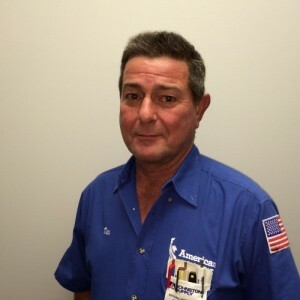 He fixed the issue quickly and gave me some great advice on maintaining my AC unit. I am thankful that he came out and helped us out. Louis M has a 5-Star rating and leads the company in total reviews, making this pro a ReviewBuzz Rockstar! I have served Central Florida clients with the AC & Heating comfort for 24 years. I love spending quality time with my family every moment that I can. Louis M. was excellent, professional, and thorough with the service that was provided! I called for a problem with a burning smell and my A/C not cooling..i was quoted a time of arrival between 3-7 pm.. but they were able to come earlier.. the tech (Louis) arrived at about 1230 maybe sooner..what a relief as it's hot out!! THANK YOU!! The parts were replaced at a reasonable cost, and time I might add, the system put back in service and is running great! Karla, who also was my initial contact with American Air and Heat, was very professional and helpful scheduling a last minute call out for my A/C. She was also the one to call and let me know that if I was available they could come early.. which I did and was very pleased about. If I ever need service again I will be sure to call them! Thank you to Louie M, Megan, and American Air & Heat! My house went from hot to cool in 15 minutes! Louie was honest and gave us options that didnt feel like a pressured sales pitch. He got our ac working again and for MUCH less than what we were quoted with another company. Customer service was even kind and did everything in her ability to get us someone fast since our house was hot. We would highly recommend him and this company. I will return to your company,,,,,seems like your what I was looking for. Louis was very honest about what needed to be done and was also very informative. Found root cause immediately and back to a.c. normal in under a half hour. Thanks American Air and Heat and Louis. My 18 month old A/C unit died last night. I have had the service contract, because I don't have the skills or tools to keep my investment in optimum condition. Last night I called and left a message with the answering service . This morning the office was expecting my call and I was already scheduled. Louie arrived 30 minutes early and went to work. It seems that the master switch for the unit had issues. He meticulously performed diagnostics / troubleshot and had my unit fixed in an hour. No charge since I had the service agreement and he even had an extra box of filters that he sold me. Great customer service!To be honest all the technicians who have serviced my unit are all professional, polite and knowledgeable. Louis is the example of a trained, professional technician that excels at his craft. My service call was prompt, courteous and educational. Louis explained where the problems were and showed me on the unit, he repaired the issue and recommended a service plan that meets my needs. American Air is my service company from now on. All American has provided all HVAC services since I moved in. Their technicians are knowledgeable and try to solve problems vice selling. Louis came today and provided the semi-annual maintenance. He was excellent! Very professional. Look forward to seeing him in the fall! Louie was great. Got up on the roof, figured out the problem in just a few minutes and had our air conditioning back on in under an hour. We live in Florida and I am SO grateful to have my AC back! Thank you American H&A! Louie was very professional in all aspects. He made sure to explain in detail all the issues causing the problem with our unit. Replaced the problem parts and discussed potential future issues due to the units age. His consultation is helping us plan for the future. We will request him from now on! After calling, Louie arrived promptly and the service was performed rapidly. I hope to get him as our service attendant in the future. He is definitely professional and an asset to American Air & Heat. As part of our ongoing maintenance service contract, we have been fortunate to have Louie M perform our semi-annual maintenance service the last two times. Professional, knowledgeable, thorough. After performing our semi-annual services and inspection, offers any additional services/parts recommended, as options. Informative but never assertive. Great office and field personnel! Louie M. is a very good tech. He takes time to keep you updated on his work and lets you know if you have any problems and a solution to fix it. I was very impressed with his knowledge, and his work. I would like to have him service my equipment all the time. Louis was very professional and explained what he did and what I should do to help extend unit life. On time, quick and efficient. Louis found a setting that needed to be fixed in the thermostat or somewhere, and the system is working better. I have been a client for close to 30 years that should be proof enough!